I’m taking a mini-workshop that conference calls every few weeks called Keepers of Time. (http://stargazerli.com) It’s based on a different calendar that begins in July and looks at the years as spirals, and the months are called Moons. Each day has a certain flavor or energy to it. 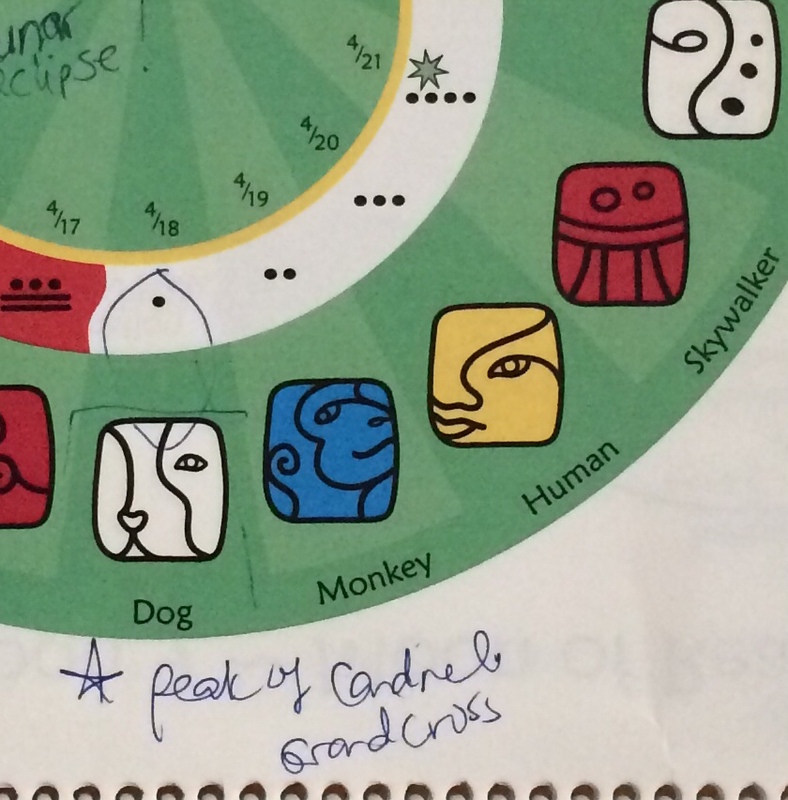 For example, today is a Three Human Day in the Dog Wave in the Yellow Realm in Moon 10, the Moon of Manifestation. Wow! What the heck does that mean? Or, what is the flavor of the day?? NOW…what do I do with that information? What’s it telling me? It’s telling me that the energy that is swirling around me today is ripe with ideas and opportunities that are ready to be put into action if I’m open and aware. It’s telling me that today is a good day to be with my Dogs, my companions (whether human or not) and to enjoy them and learn from them. That’s what it’s telling me…it can be telling you something different because (big drum roll, here) you are not me! THEN how can I be open and aware and receive and play with these energies? Because I’d really like to do that. It’s sounding like this is going to be a fun day. We’re back to that Warrior Mind I was talking about a couple of weeks ago. You notice things. You pay attention to things without labeling and judging. You just be with them. They are events that you are a part of. I’m not talking about the judging and labeling that happens when someone posts those Walmart pictures of people who are a tad inappropriately dressed. No, I’m talking about your own inner judging when something happens –the cat leaps on the counter—and without thinking you yell at it to get off. That was a judgment call. The cat is wrong so you yell at it. And what did I notice about the cat jumping on the kitchen counter? It does it when it wants to go outside and I’m not paying attention to its more subtle requesting, like a polite meow. And what if I just automatically yell at it to get off the counter? It will get off the counter and then do something even more attention getting (like tease the dog and make it bark or nearly trip me when I’m heading into the kitchen) until their thickheaded human (that would be me) gets it into her thick head (that would be mine) that it needs to go outside. BE THE WARRIOR—pay attention to the little things, be calm and poised. We live in this amazing world with lots of other life around us. Each moment is different and each moment will never be replayed in the exact same way ever again. No Groundhog Day for us, muchachos. 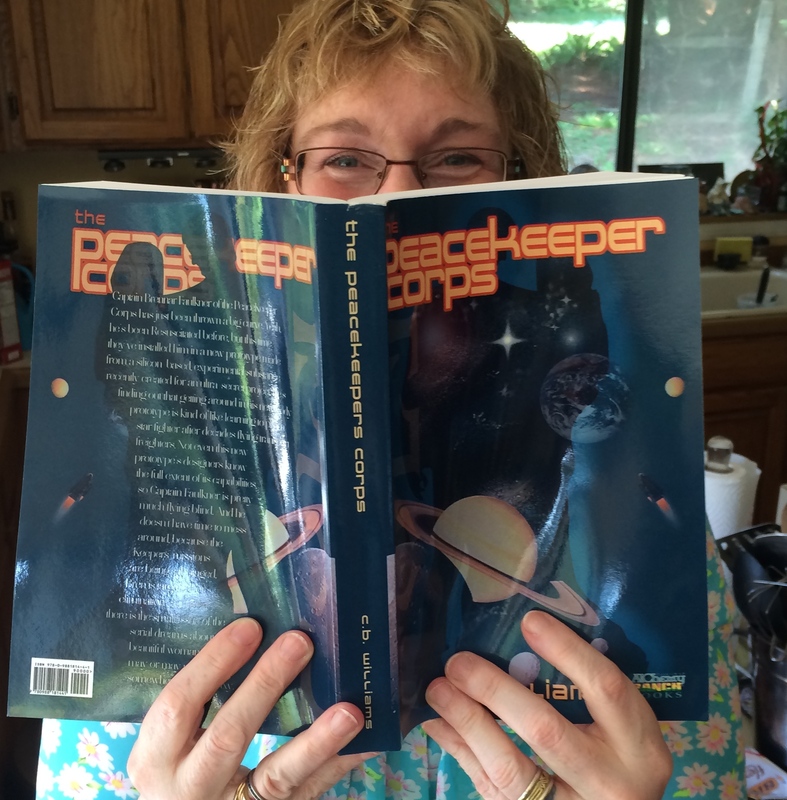 Hippity Hoppity Easter to you all….And….My Proof Copy of The PeaceKeeper Corps has arrived. I’m so excited! I proof it and then it will be published May 24th. Lovely, productive rumination. Extra fun this time…awwww, and look! 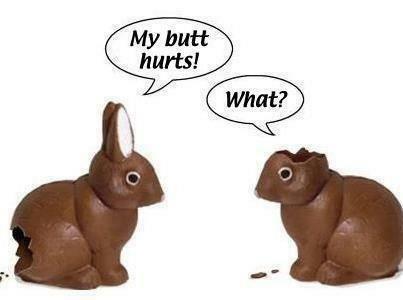 You finished with my favorite Easter bunny joke. Next Next post: I can’t stand it!! !